SAGAMIHARA, Kanagawa Prefecture--Japan will launch a satellite into orbit by the end of the fiscal year that will explore the mysteries of Earth's radiation belts. 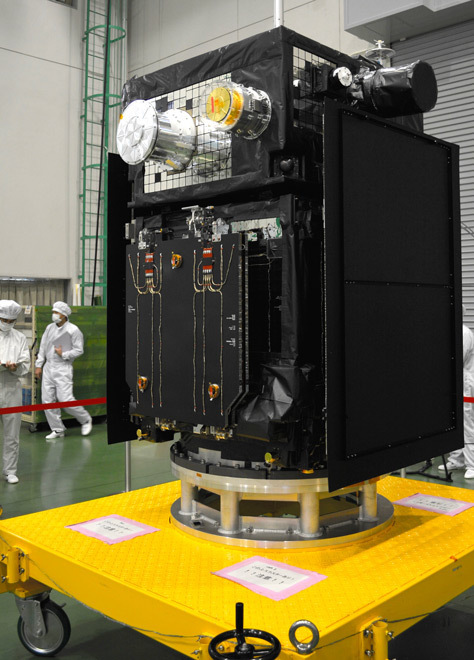 The Japan Aerospace Exploration Agency (JAXA) unveiled its ERG (Exploration of Energization and Radiation in Geospace) satellite on Sept. 29 at its Sagamihara Campus. Measuring 1.5 meters long, 1.5 meters wide and 1.7 meters high, the 350-kilogram spacecraft will explore the Van Allen radiation belts, a region in the planet’s magnetic field where a large number of high-energy electrons and ions are trapped. Science has yet to discover why these particles are so highly energized. The ERG is designed to directly survey these particles and electromagnetic waves in the hopes of unraveling the mystery. 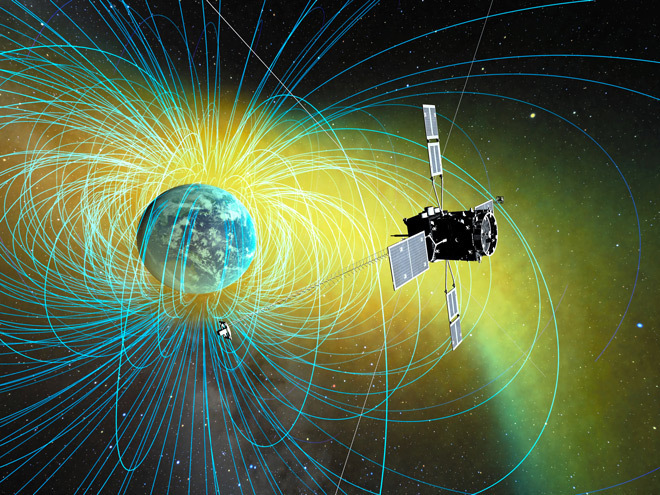 Because magnetic fields exist around other planets as well, JAXA also hopes to implement the technology in exploring the solar system beyond Earth. The ERG will ride an Epsilon rocket into orbit, which is scheduled to lift off from the agency’s Uchinoura Space Center in Kimotsuki, Kagoshima Prefecture, before next April. Once in space, the satellite will make observations from an orbit 300 kilometers to 30,000 km above the Earth.